We’d had a lot of rain, and I took advantage of the first sunny day to get out and see what I could find. I saw the “Jesus Loves You” sign and all those arrows as I turned the corner. I drove a mile or two before I decided that it was worth making a photo of, and then had to drive about five more miles to find a place that was dry enough for me to turn around. That’s a problem I almost never have. 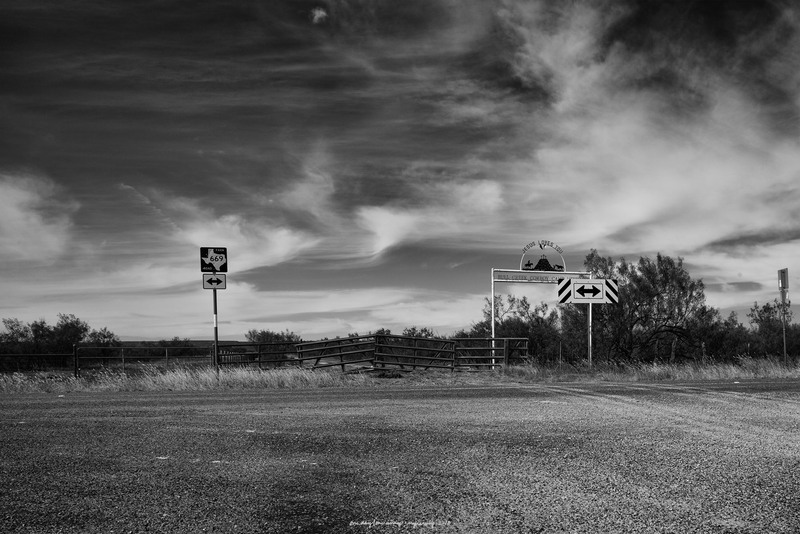 Posted on November 2, 2018, in Photography and tagged 365 photo project, arrows, black and white photography, highway signage, learning to see, melinda green harvey, monochrome, one day one image, photo a day, photography, postaday, road trip, rural texas, texas, thoughtful seeing, travel photography. Bookmark the permalink. 1 Comment.